Stephen Melanson is a simplicity modeling expert. He can simultaneously differentiate brands, unify people, and use simplicity as a business tool. His secret sauce is Verbal Branding, which is unique in the global market. 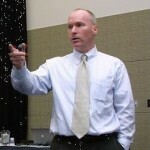 He has been featured in Forbes and has worked with individuals, small firms, and Fortune 500 firms. After fifteen years in business, he can create a single basis from which to drive performance and a connected culture. The process immediately improves sales, cultural mindset (everyone on the same page), operational efficiency, and leadership alignment around strategy. Ambica Yadav has served as a Director at WebMD, a Program Manager at Totalis Consulting Group, and a Senior Manager at Constella Group. 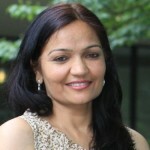 She started Karna in 2008 which provides health services to the Federal government. The firm has been recognized as one of the top 15 “fastest growing companies” in Atlanta and Ambica was recently a finalist for the Small Business Person of the Year, named by the Atlanta Business Chronicle. Karna supports Federal agencies in the areas of technology, science, research, lab, communications, and management consulting. The firm is a SBA-certified 8(a), Economically Disadvantaged WOSB, and a Small Disadvantaged Business (SDB). The name “Karna” is inspired by a great Hindu warrior, an archer who never missed. As a company, Karna works to understand a vision for what needs to be accomplished by focusing on the milestones and work, ultimately achieving the desired results. Ambica also serves on WellStar’s Board of Trustees. 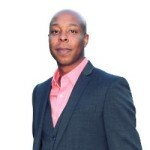 Lantre Barr is the Founder and Chief Executive Officer of Blacc Spot Media, a web and mobile development agency specializing in building solutions powered by Web Real-Time Communications (WebRTC). Lantre founded the company in 2011 to create custom solutions such as enterprise platforms and mobile applications that utilize live audio and video capabilities. Six years later, Blacc Spot Media has become one of the world’s leading RTC development agencies and one of only a few that focus solely on WebRTC implementations. His leadership has accelerated revenue growth by over 2000% since 2013 and allowed the company to be recently recognized on the Inc. 5000 list of fastest growing private companies in America for 2017. 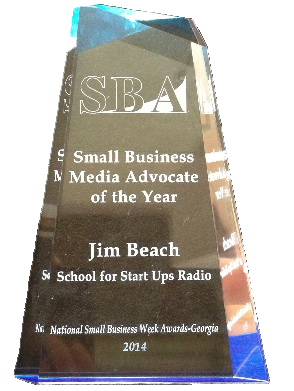 Today, he won the Atlanta Small Business of the Year Award.